Attention, owners of the tiny, furious Italian speed-egg that is the Fiat 500 Abarth: You now have no excuse not to get to a race track if you haven't done so already. That's because if you own a 500 Abarth or a 500 Abarth Cabrio, you can enroll in Fiat's Abarth Track Experience for free. That means you get to whip a track-prepped 500 Abarth around California Speedway, the Texas Motor Speedway, Daytona and several others without paying a dime. What a deal! The Abarth Track Experience is a one-day performance adventure for FIAT® 500 Abarth owners. The event offers professional driving instruction sessions designed to maximize your driving skills on the street, strip or track. You will pilot cars from a fleet of FIAT 500 Abarths that are provided specifically for the Track Experience, and put their track-tuned components to the test. Each program consists of four driving modules tailored to the facility. Modules include Autocross, Head-to-Head Challenge, Driving Dynamics and Performance Drive. The Abarth Track Experience will culminate with you riding shotgun as our professional drivers push our Abarth vehicles to the limit. Good lord, that sounds fun. In addition to being raucously loud and surprisingly quick, the Abarth is an agile handler and should be extremely capable on a track. The offer is good for one owner per VIN, up to a year after the purchase date, and includes leased vehicles too. 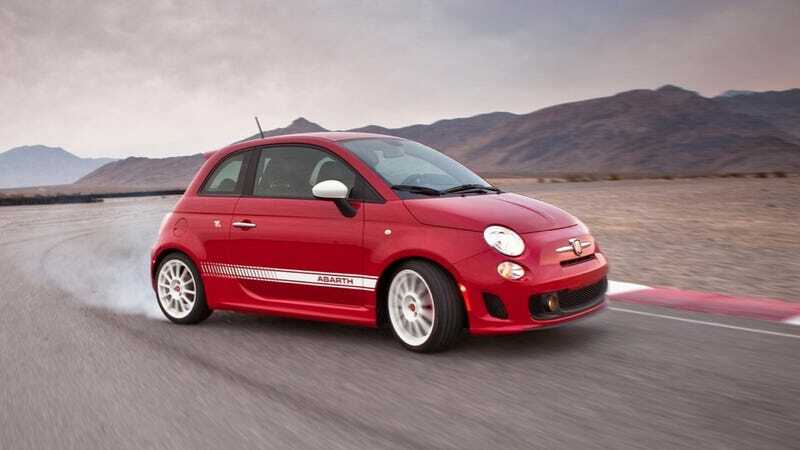 If you don't own an Abarth but want to hoon one anyway, the cost to register is $500, which really isn't too bad. The track event runs through August, and while the days at Laguna Seca have already filled up (NOOOOOOO) the rest of them are wide open. Do it, Abarth owners! You owe it to yourselves.